Marijuana Employee/Volunteers are regulated by Washoe County Code Chapter 25.700 and Nevada Revised Statutes. The purpose of the work card is to document and investigate all employees, volunteers and operators of Marijuana Establishments pursuant to the applicable statutes. 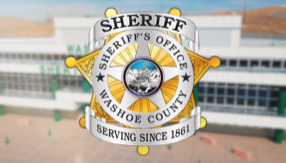 Complete a Washoe County Sheriff’s Office Application packet which includes a form that allows the Sheriff’s Office to inform the Employer of the status of your application.